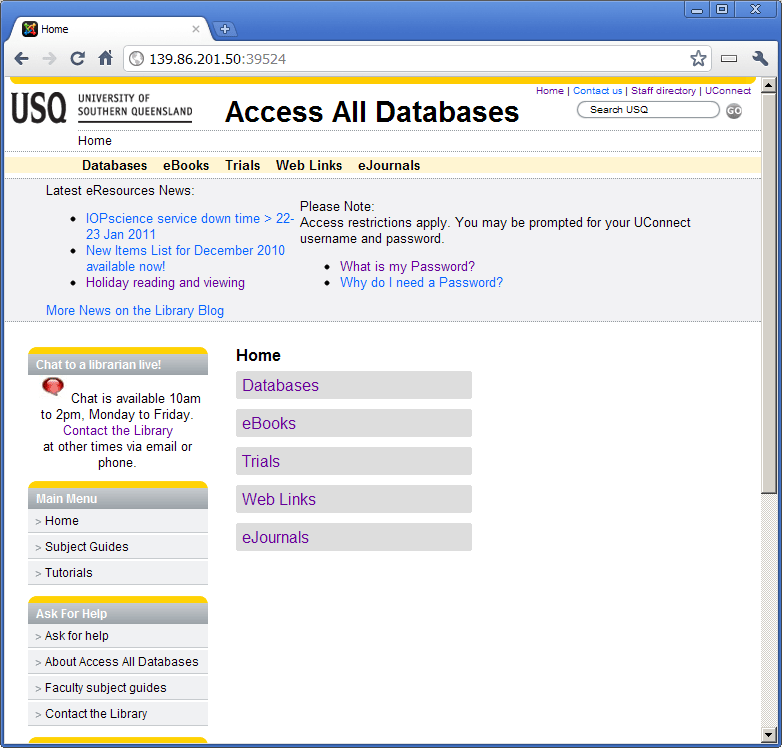 Access All Databases is a USQ system that really screams to be embedded in a CCK style app. 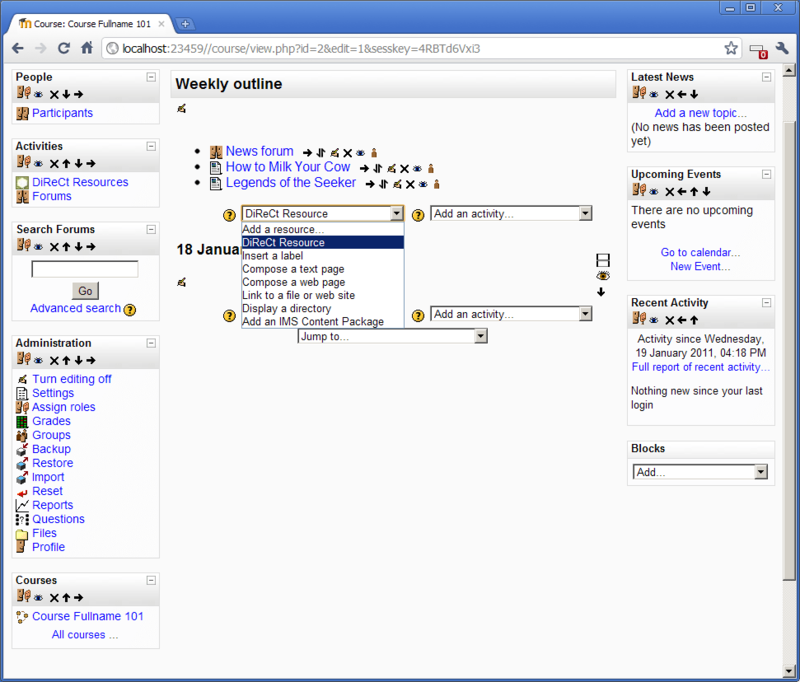 It is a set of custom fields, some search and a bit of link tracking. Beyond versioning and approval of edits there is no significant functionality beyond CRUD in this application. At the moment it is a hand built system written in PHP and badly needing redevelopment into a more modular nature. The approach I’ve taken is to experiment with using Joomla! and Flexicontent to rebuild the application from scratch. So far I’m doing well and I’ve managed to recreate the basic look and feel of the site. I’ve got one custom menu module to integrate Flexicontent’s nested categories to emulate the behaviour of another primitive CMS USQ uses called “Finding Information Tutorial.” I’ve done a custom module override for the menu as well to get it using the current USQ look and feel by default. The great thing is that there is a mobile friendly version very easily with standard Joomla! tools. I don’t think I’ll get more time to play with this soon however it is already a good start. I talk a bit more about VuFind, SSO and authentication in an earlier blog post. This is primarily the work of Ken MacAlpine who is working on mobile technologies at USQ. 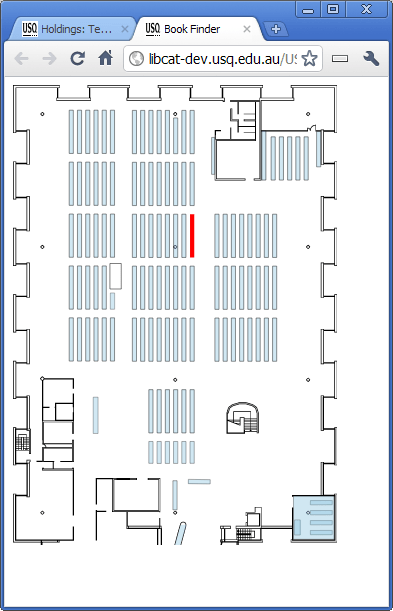 Ken developed an SVG powered map of the top floor of the library to aide in the location of books. He put together a database of roughly where the catalogue numbers stop and start for each shelf on each side. 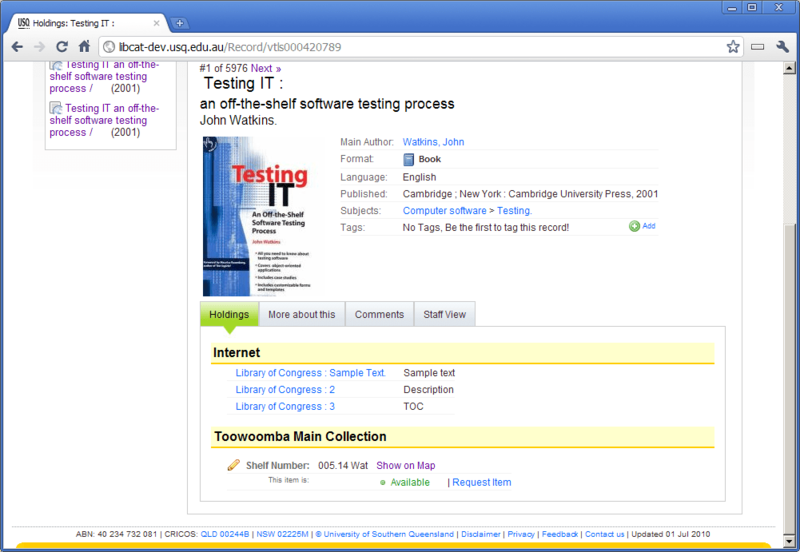 It has been integrated into the catalogue and shows up as a “Show on Map” link for Toowoomba Main Collection items. It is aimed to be the same size as an iPhone display so that it fits neatly there. It also works in all browsers that support SVG. Fallback support is provided for IE since it doesn’t support SVG yet. ePrints, RPCS and data conversion! As an interesting exercise I also spent some time converting data from an internal reporting system, RPCS, into our open access repository – ePrints. This was a fun project which required connecting to RPCS’ MSSQL database and outputting an XML file for ePrints to eat. 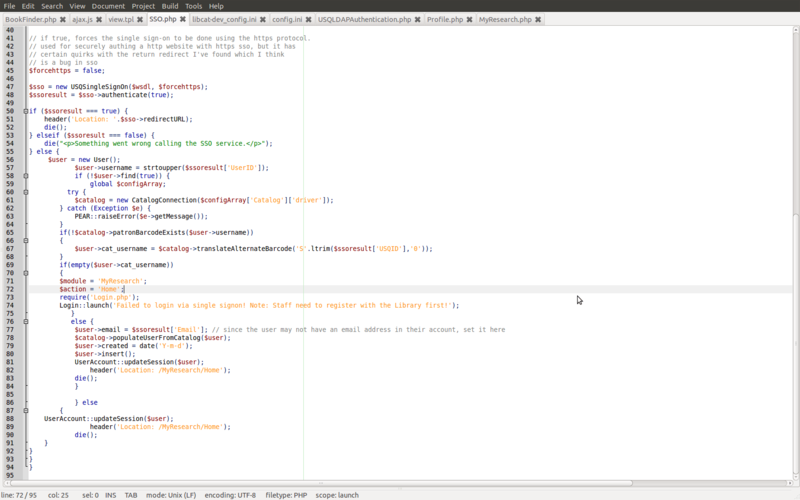 To do this I figured I’d pull out Web Matrix, Microsoft’s cut down editor for web developers. 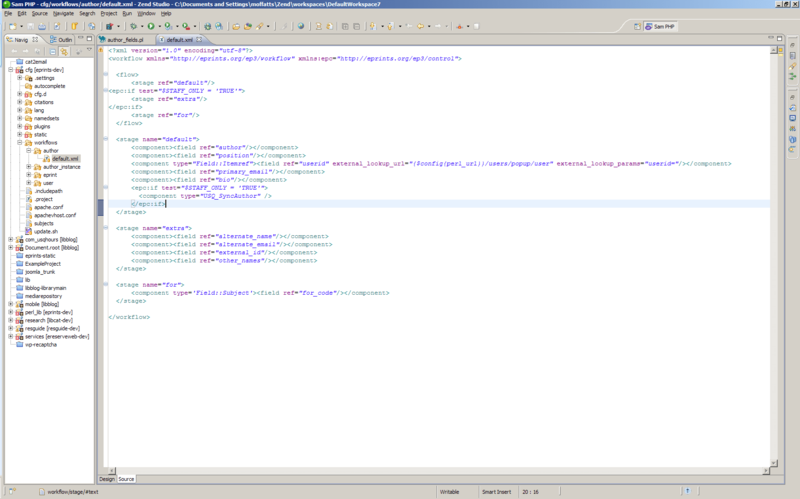 It feels on par with Geany though it has a built in web server, request tracking and a database explorer. It also integrates with the Web Platform Installer product which means I can easily install other applications. I used Web Matrix to kick start the Joomla! 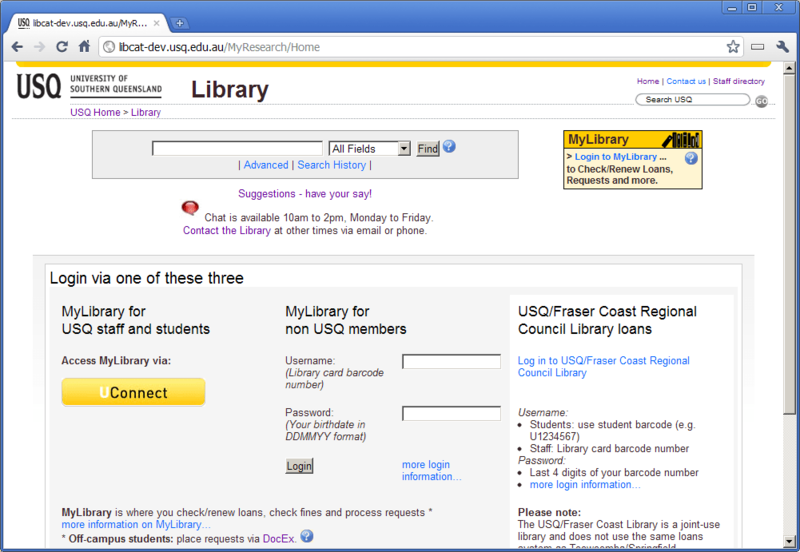 install for the Access All Databases research project as well. 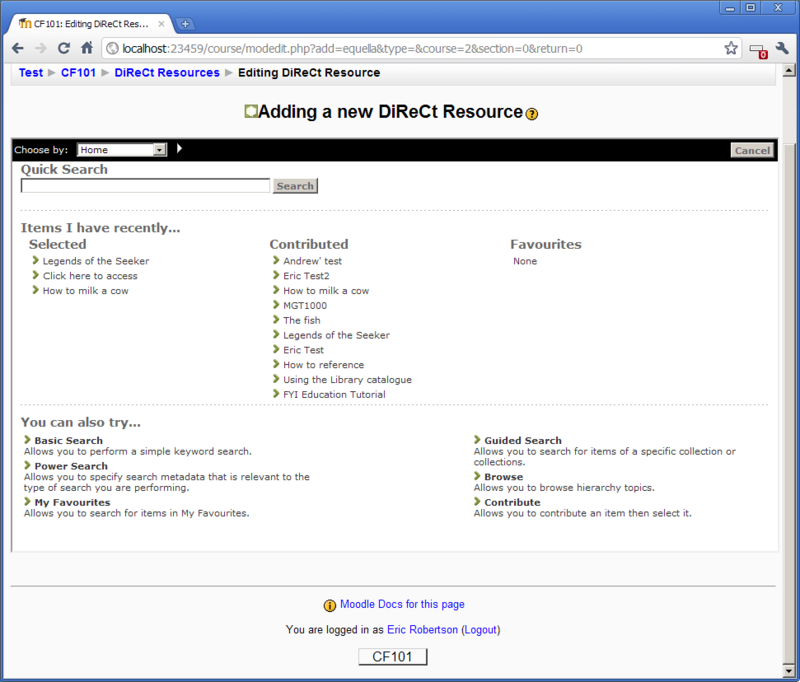 The RPCS data is loaded into our ePrints system along side the Author ID project that existed there. 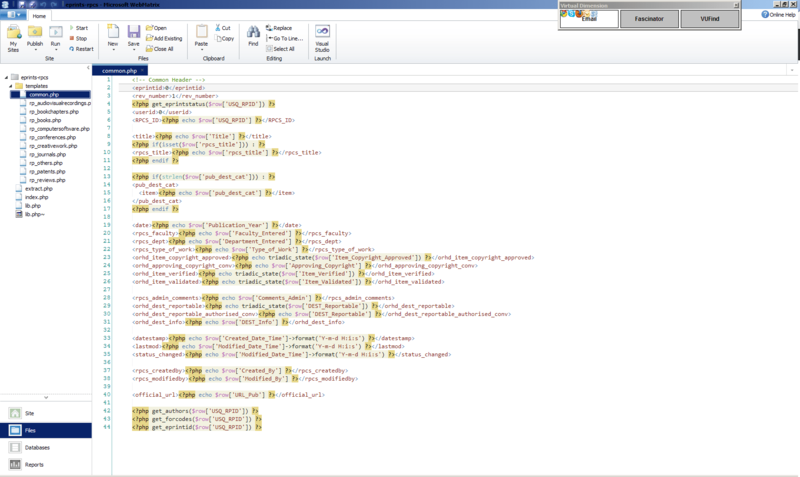 We’re also pulling across the data from their system which is going to result in duplicate authors until we merge them down to uniques however doing so in an automated manner isn’t easily possible. There is a whole heap of work to get things together but all in all we’re doing well. Last but not least I’ve been playing with the EQUELLA Moodle module. It adds an extra option to the Moodle resource drop down and enables access to select items from the EQUELLA repository software. I’ve used Web Matrix here to deploy out a quick Moodle site utilising the same Web Platform Installer technology and managed to get up and running quickly with everything. The deployment of the module to our main Moodle environment would enable lecturers to directly select course readings to embed in relevant modules on their Moodle course pages – exciting!